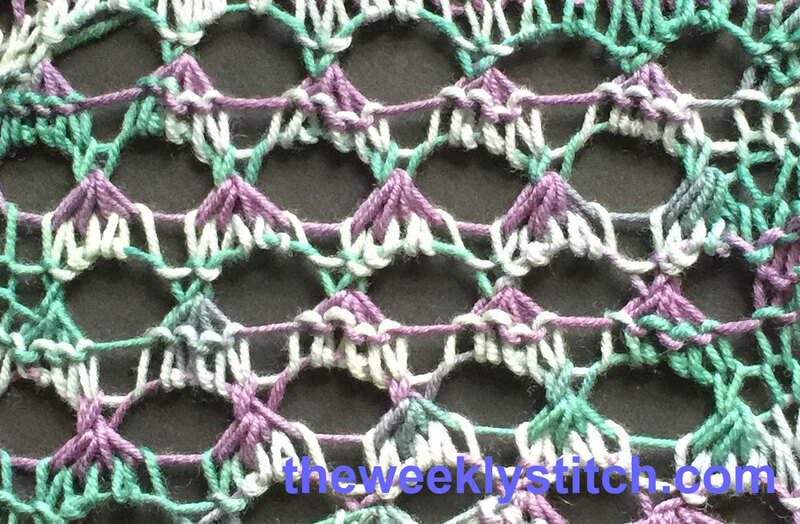 Repeat these 3 rows for the pattern. 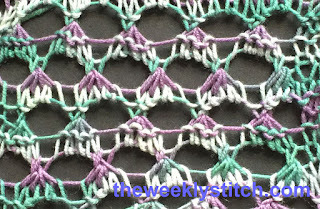 The edges are not neat, depending on how you plan to use the stitch you may want to add a border to neaten things up. 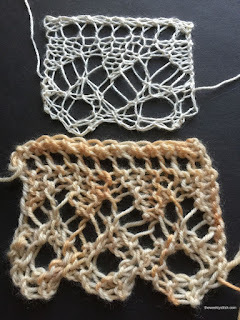 If you are beginning the pattern right from the cast on row, cast on loosely or work a row of plain knitting (loosely) so that the p4tog in Row 1 is easier to work. 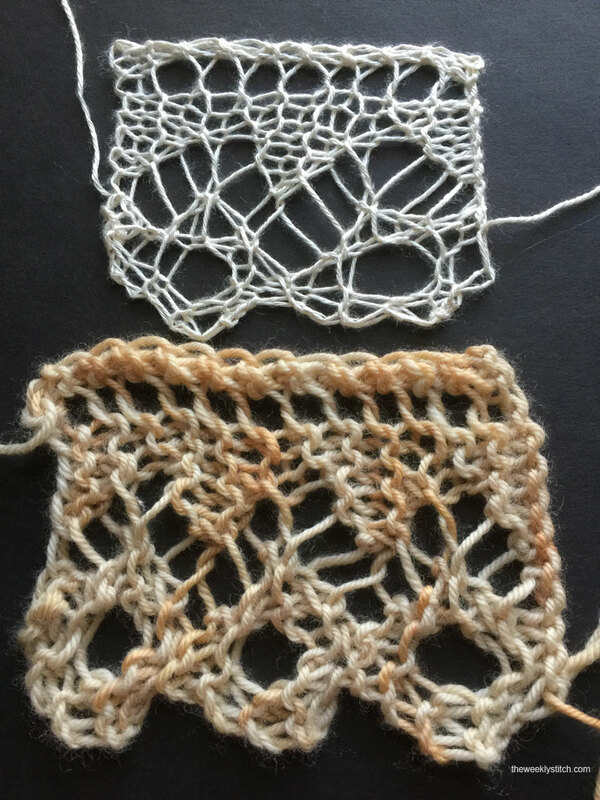 Work Row 3 loosely also to make Row 1 easier. 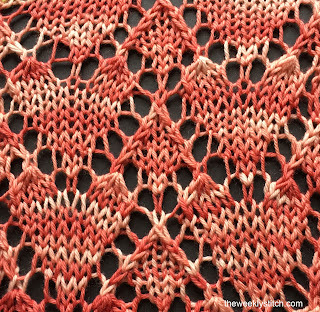 Repeat these 10 rows for the pattern. 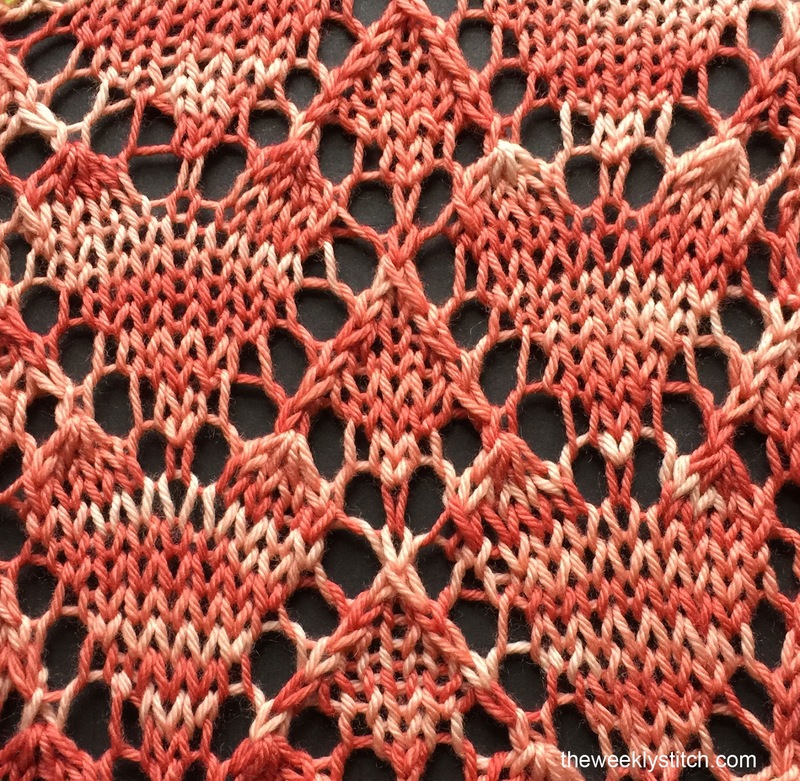 Edges are sloppy and will tend to curl since this stitch is stockinette based; depending on how you plan to use the stitch, you may want to add a garter or seed stitch border to neaten things up.